Despite the Fukushima disaster, Alexander Downer has come out in support of Australia storing the world’s nuclear waste. Sandi Keane looks at the secret plans developed by John Howard and George W. Bush to turn Australia into the world’s radioactive waste dump, with healthy profits for all. Is this how Tony Abbott plans to pay for “direct action”on climate change? 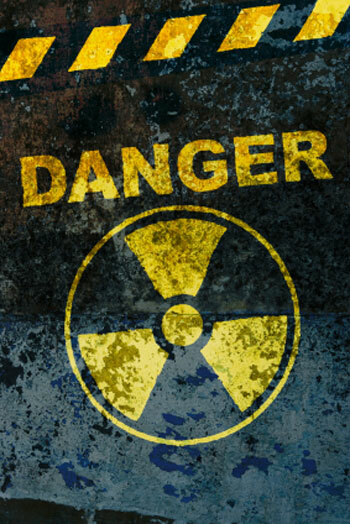 IS THE Fukushima nuclear fallout heading for Australia? Yes, if Alexander Downer and the Liberal Party have anything to do with it. Not a large, menacing radioactive cloud lighting up our northern skies, but another kind of nuclear fallout from Fukushima: the urgent need to find a place to store the world’s deadly waste. Fukushima’s reactors were inside thick containment walls but the waste, or to use nuclear spin, spent fuel rods, were out in the open. Two of the three ponds lost their roofs in explosions, exposing the spent fuel pools to the atmosphere, eventually catching fire and spreading the radiation. Unfortunately, this is the practice followed by many countries around the world. There is simply no safe place to store the waste so it is often stored in cooling ponds at the reactor site. This is the grim reality of the nuclear experiment. Forty years ago, when the first reactors were built, it was naively assumed that a solution would eventually be found to store or recycle the waste safely – but for 3 million years? Might this not transcend the scale of man’s experience? In hindsight it was a fatal mistake. We now know that the frequency of earthquakes is increasing due to global warming as is extreme weather. More Fukushimas will happen. Our World Heritage listed national park, Kakadu, is also now threatened with radiation from the Ranger mine due to heavy rain. So we can’t even mine uranium safely any more. Antinuclear fear in the aftermath of Fukushima has seen public demonstrations in Japan, Germany and France. Many countries may now be moving away from nuclear power in favour of renewables, but the legacy of the toxic waste will last for millions of years. Generations to come will wonder at the greed and stupidity of their forebears. Build it, make the money and run is the credo of our generation. So, whilst support for building new nuclear reactors has evaporated, there are a lot of angry citizens around the world demanding their governments do something about the waste. This is where Australia comes in and we will certainly get dragged into the nightmare if the Liberal Party has anything to do with it. 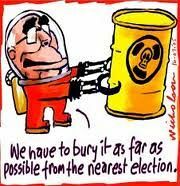 Had the Coalition won the election in 2007, Australia would have become a global nuclear waste dump. Former Prime Minister Howard’s nuclear ambitions (detailed later in this piece) passed beneath the radar at the time, other than for those of us on the environmental wavelength. Alexander Downer blatantly denied that Australia was considering taking the world’s waste in 2007, as did our then Prime Minister. The Australian public needs to know whether the Liberals plan to dust off John Howard’s grand money-making fantasy to turn Australia into repository for the world’s nuclear waste. 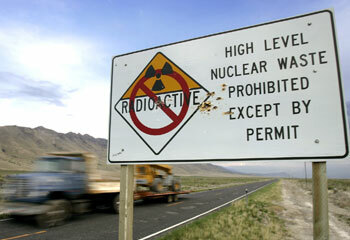 The US plan proposed that Australia become a one-stop nuclear shop. Through an international consortium of US, UK and Australia interests, Australia would produce, enrich and lease nuclear fuel and make a considerable fortune on storing the world’s waste. That was the plan on the table when John Howard visited Washington in May 2006. Dr. John White, then Chairman of the PM’s Uranium Industry Framework was also there with Howard. There has been no change to the plan for a one-stop nuclear shop despite the renaming of GNEP to the International Framework for Nuclear Energy Cooperation (IFNEC). Upon Howard’s return from Washington in May 2006, we saw him move with great speed to reignite the nuclear debate ostensibly to placate community concern about global warming. The talk focused on nuclear reactors but the rhetoric about building nuclear power plants was simply a softening up process for Howard/Bush’s real ambitions: GNEP and insidious agenda. After years working in the environment movement, my antenna went into overdrive when one of the UK’s leading nuclear waste storage and transport specialists, Serco, under the name, Serco Asia Pacific Pty Ltd, bought the Great Southern Railway (same company which runs our detention facilities and whose handling of recent riots is being investigated). I started taking a keen interest especially after Prime Minister Howard extended the railway line from Alice Springs to Darwin in 2003. The railway line not only runs past Olympic Dam but could easily run a branch line to Savory Basin in the Pilbara, once proposed by Pangea as a high level nuclear waste dump back in 2003. The proposal was defeated after the Australian community was alerted to the plan after a promotional video for investors was leaked to the public. I searched in vain for news in the mainstream media. Eventually, an advisor to the Australian Greens Climate Change Spokesperson, Senator Christine Milne, referred me to two very detailed and disturbing articles in Fairfax’s Australian Financial Review, written by journalist Julie Macken. The first, on June 7, 2006, was headed: “John Howard’s grand plan for nuclear energy will involve enrichment and waste disposal in the outback if he follows the lead of US President George Bush”. Further research around the same time, unearthed China’s business newspaper, The Standard, whichwarned on June 29, 2006, that “Australia is set for nasty debate over plans to use the country as a waste dump”. Pakistan’s Dawn on June 30, asked the same question but said it couldn’t happen without a spirited debate. So where was the nasty and spirited debate? How many Australians were aware of Howards plans? No-one I knew. Apart from theAustralian Financial Review, The Bulletin(November 17, 2006), and The Australian (July 20, 2006), we saw little in the media, although it was patently clear that John Howard was well on his way to developing a nuclear fuel supply industry in Australia which would include leasing, enriching and storing highlevel nuclear waste. I tried to contact Julie Macken only to be told that she no longer worked for the Australian Financial Review. 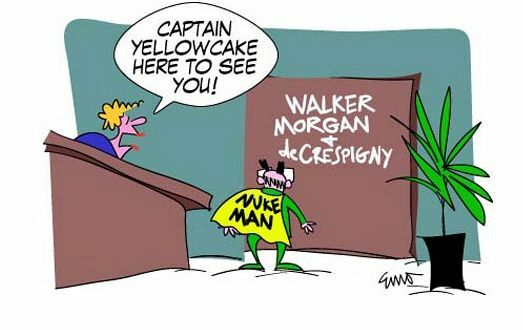 In a follow-up article on August 3, 2006, Macken had interviewed Hugh Morgan who had just two months before formed a new company, Australian Nuclear Energy Pty Ltd with fellow Liberal luminaries, Ron Walker and Robert de Crespigny. Ron Walker was Chairman of Fairfax at the time. Emails to other Fairfax journalists got the same response: that Prime Minister Howard had denied taking nuclear waste from other countries. Finally, Sophie Black, now editor of independent onliner, Crikey, responded to my emails, confirmed the evidence I’d supplied her and exposed the sham denials of the Liberals onSeptember 6, 2007 in an excellent piece entitled “Australia: mine one day; nuclear dump the next”. As for the nasty and spirited debate, the mainstream media went missing in action. Granted, we were never going to get one in the Murdoch press, but Fairfax was a surprise. I speculated on the extent of editorial influence of the chairman, Ron Walker, and his compromised position as Director of a company that stood to benefit from Howard’s nuclear fantasy. All the ducks were lining up for Howard’s big bonanza. The USA was (and still is) desperate to find a permanent high level nuclear waste dump following the decision not to proceed with the storage site at Yukka Mountain. The few high level waste dumps are temporary and several have had contamination problems. The US has no other permanent storage solutions and the interim ones have a life of less than 100 years. But Howard and his chief nuclear adviser at the time, Dr. John White, were ready to come to the USA’s rescue back in 2006. Both were personally involved in the development of the Global Nuclear Energy Partnership, especially White who came up with the Business Plan. Julie Macken’s articles in the Australian Financial Review detailed the plan: Nuclear waste, including plutonium from the weapons industry would be transported to Darwin by submarine. From there, it would be transferred to Serco Asia Pacific’s Great Southern Railway and transported by train to a supposedly geologically secure destination. Maralinga or Savoury Basin was the bet. “sordid and sorry affair”……. “it limits traditional landowner rights, overrides territory government laws and pushes aside Commonwealth environment and heritage legislation at the site selection state…. A deeply disturbing development…. It also allows the Commonwealth to do whatever it likes to establish a nuclear waste dump. It also allows the Commonwealth to take any action to enable nuclear waste to be transported to the site”. Whilst the unfolding of Howard’s great nuclear dream caused barely a blip in the mainstream media, plenty of exciting action was happening in Liberal business circles. The same vested interests behind Howard/Bush’s inaction on climate change were now rallying behind this potential nuclear bonanza. Both Howard and White envisaged that their global nuclear waste dump would be managed by the private sector. Furthermore, the PM’s task force report said that any nuclear enrichment facility would have a very high level entry and would likely be managed by a multinational corporation and that either a UK or US company would be facilitated in that regard. White was not only the PM’s Chairman of the Federal Government’s Uranium Industry Framework but was the one who developed it. White also headed a waste management company, Global Renewables, essentially a nuclear waste company in spite of its eco-friendly sounding name. But Dr. White was an even bigger player in the international nuclear stakes. Ten years ago, he set up a UK/US/Australian consortium: the Nuclear Fuel Leasing Group. He and his colleagues invested $45 million in the company. White is no lightweight in the nuclear stakes and is an astute businessman. You need more than a nod and a wink from the government to invest $45 million. There are four members: along with White are some of the biggest names in the international nuclear industry: David Pentz, Chairman of Pangea Resources whose sole aim is to explore the world for suitable nuclear waste dumps; Daniel Poneman, currently U.S. Deputy Secretary of Energy and principal of the Scowcroft Group whose background is in energy and security; and Mike Simpson, head of business development projects for British Nuclear Fuels. The Nuclear Fuel Leasing Group’s submission to Dr. Switkowsky’s Uranium Mining and Processing and Nuclear Energy Review proposed that Australia produce the fuel rods, lease them to the world and take back the spent rods for storage. Nuclear waste would be shipped to Darwin bysubmarines in specially designed caskets which would then be transferred to the Adelaide-to-Darwin railway line. It was suggested that the proposed dump be in “restricted” areas, either in South Australia or Western Australia but most likely Maralinga. I rang a friend who was Chairman of the Darwin Port Authority at the time. He was gobsmacked beyond belief at the idea of submarines in Darwin harbour carrying high level waste, not to mention spent plutonium from the weapons industry, until I sent him a copy of White’s submission. Dr. White’s plan was to bring high level nuclear and plutonium waste by specially designed ship or submarine into the port of Darwin, and then by railway down through central Australia to South Australia (the railway conveniently runs past Maralinga as well as Olympic Dam). We would be exposed to terrorist threats over 1,000s of kilometres of railway line, not to mention Darwin harbour smack bang in the middle of that city, according to John Large, whose company, Large & Associates handled the salvage of the stricken Russian U sub,Kursk. “there is simply no way, over a 100,000 year time scale, to stop the fuel leaking out”. Our Great Artesian Basin is the largest and deepest artesian basin in the world, stretching over a total of 1,711,000 square kilometres over 4 states, including the site of the Roxby Downs, Olympic Dam and Maralinga in South Australia. What happens when the deadly hydrogen eventually leaks into Australia’s largest underground water reservoir? Large was shocked to hear that Australia wanted to go down this path. Bush’s Global Nuclear Energy Partnership (now IFNEC) was essentially about controlling the proliferation of nuclear weapons with countries such as Australia and Canada leasing fuel rods and taking back the spent rods. Just a month after Howard’s visit to Washington in May 2006, as mentioned earlier, another link in the nuclear industry chain was established: Australian Nuclear Energy Pty Ltd. Directors, Hugh Morgan, Ron Walker and Robert de Crespigny, are major donors to the Liberal Party. The company’s business is nuclear power plants and an international nuclear waste repository. In his interview with Katharine Murphy, in The Age, on 5 April, 2007, Morgan declared he was in for the long haul and was considering power plants and waste dumps. Morgan has promoted the idea of a global nuclear waste dump for Australia in various other media interviews including the ABC’s Jon Faine. “A key theme of the advice that the Government has received is that Australia should do what it can to expand our uranium exports and to remove unnecessary barriers that are acting as impediments to the efficient operation and growth of the industry”. Why didn’t the mainstream media pick up more on this and get a real debate happening? Was Howard deliberately using stealth to realize his ambitions? The GNEP plan was a triple jackpot: massive fortunes would be made on the mining, enriching and storage. “A COUPLE of weeks ago, a senior Australian official you’ve probably never heard of strapped himself into the comfortable end of an aeroplane bound for Vienna. After the long journey, he went along to an important meeting, and acting with the authority of the Commonwealth, signed a document that commits Australia to being a full partner in a global energy grouping you will know about only if you follow national political events with abnormal interest”. Peter Garrett’s advisor spoke to me of Labor’s frustrations in getting its press releases of their concerns into the media. Australian Greens Senator Christine Milne also told me in a radio interview of the same frustrations she had in getting the media to take up the story. Her media release condemning the Howard Government’s action for not making its signing of the GNEP public, like most of the Green’s Press Releases, was only reported by the environment movement. “Would we be horrified”, she asked, in a Friends of the Earth newsletter,“that we were getting in deeper and deeper?”. Howard may have gone but the legacy of his nuclear fantasy lives on in the true style of things radioactive. 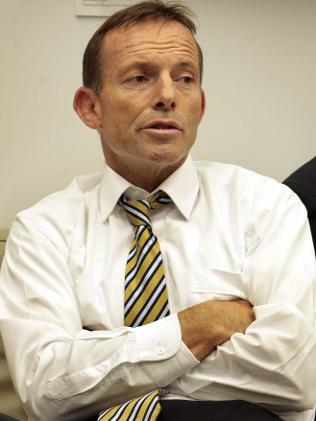 Abbott likes to describe himself as John Howard and Bronwyn Bishop’s love child. Like all good male children, he has modeled himself on his father figure. Abbott worships John Howard. In return, like all good fathers, Howard has provided a once in a lifetime opportunity to set Tony Abbott and the Liberal Party up for life—if Tony seizes his big chance before the other contender, Russia, does. Surely, it was meant to be? The Gods are on his side. The polls are a peach. The Greens will have to be destroyed so that the Coalition regains control of the Senate but The Australianis taking good care of that. The independents are easily intimidated and will probably succumb to family pressure to retire at the next election. It’s in the bag! Unlike Howard, Abbott is a regular, kick-arse kind of guy. He won’t worry about trampling over our democratic sensibilities. Question is: Is this the sort of US alliance and deadly legacy we, the people, want? What are our chances of a debate this time around? As for Labor, Bob Hawke came out in support of this idea in 2009. And what about Martin Ferguson and the other wildcards in the Labor caucus? Tony Abbott says he will overturn any market mechanism to limit carbon emissions, but still says the Coalition will still meet the emission reduction though direct action. But how? We know direct action is costly, hence the need for a market mechanism. Paying polluters to close aluminium smelters and inefficient old coal fired power stations will cost the Government a motza, as will Government directly funding the development of alternative sustainable energy sources. Is the nuclear dump option, which has never been fully shelved by the Liberals, the secret silver bullet? We know that storing nuclear waste would be a lucrative industry. Does the Liberal Party plan to turn Australia into the repository for the world’s most dangerous waste? Is not, say so and say it clearly, preferably using “carefully prepared, scripted notes”. Published on Independent Australia 18 April 2011 here.